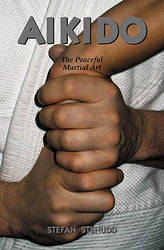 Description: Aikido is a martial art unlike any other. It contains no attacks, only defense, and this defense should be so gentle that even the attacker is delighted by it. There is no competition, since each participant should be a winner. It is an art that takes a lifetime to learn. This book presents the principles and basic concepts of aikido – deeply rooted in Eastern philosophy and the refined ideals of the samurai. It is not a technical manual, but an exploration of the thoughts and theories at work in aikido practice. Stefan Stenudd is a 6 dan Aikikai Swedish aikido instructor, member of the Swedish Aikikai Grading Committee, the Swedish Budo Federation Board, and the International Aikido Federation Directing Committee. He has practiced aikido since 1972. He is also a writer of both fiction and non-fiction. Just finished reading this book. As a relative newbie to aikido I found this a very very insightful and helpful book in understanding a lot of the principles of aikido. Stenudd gets down to the details of what the real meaning behind the various words that describe this complex art. I especially found the sections on Basics and really getting into what exactly things like Irimi and Tenkan are about, not just the movement but the emotion that drives it. The various stages in training and a very detailed discussion on just what it means to be Uke and Nage. Too much detail to even go into and I will need to read it again in order to really digest it all. Excellent glossary of words. The best one I have yet found. Can also be found on his website. His writing style really helps the reader to feel and picture what he is trying to convey. Once I picked this book up it was very hard to put it back down.